When it comes to shaping your corporate identity, a logo isn’t something you can easily skip and hope that your business will prosper and grow. Why is it so crucial to have a smart, relevant emblem that will urge potential customers to learn more about what you’re doing? If you think about it for a minute, you’re sure to come up with the right answer on your own! A good emblem is the best (and cheapest!) tool to make your company look like a real pro among its rivals. A properly crafted logo can send your popularity and recognition to the moon. If people like your logo, they’ll show it to their friends, search for your business on the Internet, and buy your products. This is how we behave when we see something interesting, whether it’s a product, idea, or design. We want to interact with it on every level! Luckily, there are plenty of platforms where you can place your logo and get noticed. These include your corporate website, signboards, packaging, stationery, clothes, banners, business cards … literally everything you can think of! By placing your icon on these backgrounds, you can introduce your business to potential customers, evoke the right emotional response, and show that you care about how your project is perceived in the market. 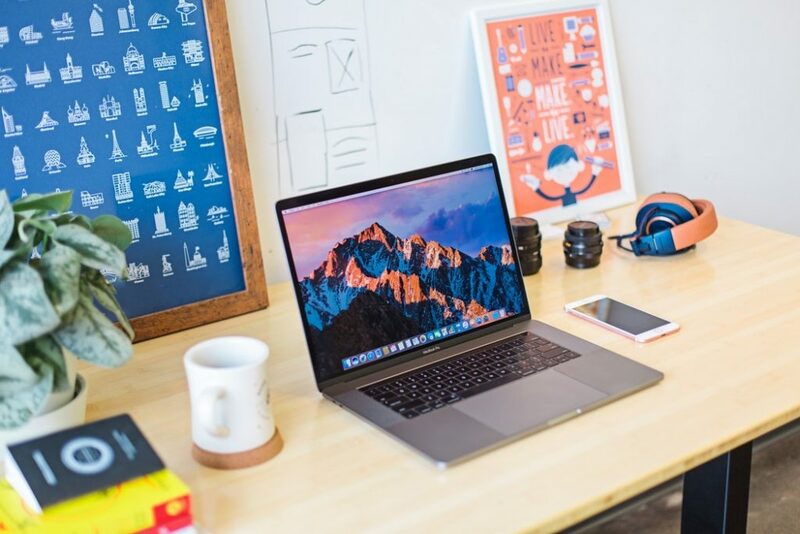 One of the many things aspiring entrepreneurs have in common is that they all need to create a clever, high-quality logo for as little money as possible. And you know what? We have good news for you! This task isn’t impossible. In this article, we’ll address two ways of creating a good-looking emblem that will blow your customers’ minds and make your competitors green with envy. The first option is to benefit from the advantages of AI and use a logo maker, e.g., Logaster. If you’re not easily intimidated by challenges, you can choose a thorny path and opt for graphic editing software. Photoshop is probably the most powerful among all photo editing programs, so we’ll focus on that. Modern graphic designers can hardly imagine their lives without Adobe Photoshop. It’s a multi-functional photo editor that gives you almost endless possibilities for creating and adjusting images, adding stunning textures and lighting effects, and experimenting with filters. The list goes on and on. Photoshop brings all design tools into one place, providing a comprehensive editing experience. The only drawback is that Photoshop isn’t a program for amateurs. It’s a rather complicated software program used by professional photographers, designers, animation experts, and people in art-related industries. For amateurs, Photoshop is a tough nut to crack. This is why many users choose less-demanding programs that are easier to work with. However, if you feel confident in your Photoshop skills, you should go for it! When it comes to creating visual art, there’s hardly anything you can’t do with this amazing program. First, you can pursue any of your ideas, including the boldest ones. If you aren’t afraid of playing around with colors and shapes, you can craft a one-of-a-kind emblem that will be exclusive to your brand. If you’re a control freak, the next Photoshop advantage will win you over! When drawing a logo in Photoshop, you can manage and oversee the entire process. You decide which parts of your design need improvement, how much time you’re going to spend on choosing the ideal font, when you need to take a break, and many other issues. It’s a lot of responsibility but at least you’ll be sure that everything will be done properly. And lastly, using Photoshop won’t cost you a thing! For many startuppers, it’s the key factor in the game. It’s not all shiny, though. As we’ve already mentioned, working in Photoshop requires a great deal of design experience. If basic design concepts and principles are uncharted waters for you, you’ll have a hard time creating a truly memorable icon. Whether you like it or not, the fundamentals of graphic design are a must when it comes to working in photo editors. Another big thing to consider is that you can’t draw a logo in Photoshop overnight (unless you’ve already created dozens of icons). It’s a lengthy, tiresome process that requires perseverance and concentration. The amount of time you’ll need depends on many factors, including your abilities and the effect you want to achieve. Start by playing around with concepts for your future artwork. Don’t rush but don’t dwell too long on a certain idea, either. Then visualize your ideas by sketching them in your notebook. Remember that being stuck is alright. Cinema, nature, and photography, among other things, are great sources of inspiration. For years, these areas have inspired creative people all over the globe. We’re determined to prove to you that working in Photoshop can be an enjoyable experience. If you don’t believe us, try it for yourself! The amazing tutorials listed below are aimed at beginners who can’t boast of vast experience with photo editing software. This is your pass to the immersive universe of design! By following these video instructions to the letter, you can end up with an icon you didn’t even know you were capable of creating! A smart emblem can completely change the way the public perceives your business cards, promotional products, souvenirs, and Internet platforms (websites, social media, etc.). Click here to browse beautiful typography solutions for your future emblem. You might find the perfect font that will be your first step towards the creative route you want to take. Check out these short yet comprehensive beginner tutorials that will upgrade your design skills in just 10 minutes. Don’t judge a video by its name and description. Take the time to browse all the videos to find the guides that most speak to you. 1. How to make an emblem in Photoshop. In this simple tutorial, the author takes you through the entire process of designing a neat corporate image. This is an ideal option for those who’ve never opened a photo editor in their lives. If the thought of drawing a sketch gives you shivers, consider yourself saved! 2. How to use Photoshop to build your corporate identity. If drawing is your worst nightmare, this tutorial will help you fight your fear and master the basics of graphic design. From this video lesson, you’ll learn how to design a personal or corporate emblem that will look great on any platform, including a website header, social media page, and more. Photoshop isn’t as scary as you think! 3. How to craft a stunning logo for your video game. People of all ages – though especially the younger generation – love video games. A bold, unconventional logo is sure to garner the attention of all audiences. Check out this tutorial to crack the secrets to a dynamic logo. There’s nothing like a dynamic emblem to symbolize the flexibility and fast pace of the modern world. 4. How to create a mesmerizing galaxy logo. Wow, this emblem is a looker, don’t you think? Take a few minutes to watch this guide and learn how to design a fascinating space-themed icon. With an emblem like this, your project will be hard to miss! 5. How to design a metallic emblem. What things come to mind when you hear the word “metallic”? The most likely associations are probably “edgy”, “stylish”, “modern”, etc. A metallic emblem will position your brand as a successful, relevant business that keeps up with the latest market trends. 6. How to draw a construction logo. Dreaming about an original logo? We know how to get one! Take a look at this video on how to craft a competitive emblem for your construction company. You’ll be surprised at the things you can do with just a little guidance! We believe in you! 7. How to make a skull emblem in vector. A skull logo isn’t one of those traditional, safe emblems used by lawyers, dentists, and banks. It’s a provocation in itself! If your brand has an adventurous feel to it, try a skull image. Watch this video to see how you can use the pirate theme to your advantage! 8. How to create ahipster logo in Photoshop. Whether you like them or not, hipster logos are everywhere. The truth is, hipster style fits some businesses like a glove. Those include stores with apparel for young people, coffee shops, flower shops, breweries, and many more. If you’re involved in one of these industries, you might want to consider a hipster emblem, among other options. This tutorial will reveal the secrets behind an effective hipster image. 9. How to craft a hipster icon in Photoshop. Here’s another amazing guide that will introduce you to the versatile world of hipster logos. We bet that pretty soon you’ll be able to design logos like this with your eyes closed! 10. How to create a minimalist yet good-looking emblem. We’ve dug up a great video for those who are dreaming of a concise logo without embellishments or distracting details. An emblem with fewer elements doesn’t mean less work, though. 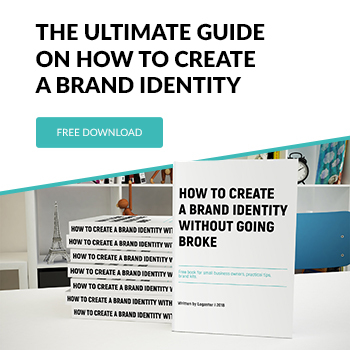 The authors of this guide will help you navigate the complexities of creating a powerful minimalist logo. 11. How to create a logo from photos. In this user-friendly tutorial, you’ll learn how to transform an ordinary photo into a smart corporate image. 12. How to master a 3D effect. The dimensional effect is a powerful concept that can change your emblem beyond recognition (for the better, of course!). The creator of this guide will show you how to make a 3D effect work for your benefit. You won’t regret it! 13. How to get yourself a perfect eco-theme logo. Struggling to convey the concept of eco-friendliness through your emblem? This topic offers a wide array of associations and meanings you can add to your icon. Check out this Adobe Photoshop guide for expert tips on going green at a corporate level! 14. How to create a stunning emblem in Photoshop in 5 minutes. This universal tutorial was created for beginners who don’t have time to master Photoshop from A to Z. It includes only the most useful features that can create magic for your brand identity designs! All you need is some free time and full concentration. 15. If you’re impatient to explore bold color and typography solutions, consider yourself lucky! These tutorials will take you on an exciting journey through the universe of design! 16. How to craft a retro logo. The retro theme incorporates several straightforward and explicit meanings, and therefore must be used carefully. If you want to emphasize your brand’s strong bond with traditions and local culture, this video material will show you how. 17. Logos for beginners: Guide 101. This tutorial describes the full cycle of designing a corporate emblem, from the first tentative drawings to the finishing touches. For better results, we advise against watching the entire guide in one go. The best way to learn is to repeat each procedure after the professional and stop the video if you need more time. This hands-on approach is much more effective than perceiving information in a passive way. To those of you who still won’t go anywhere near Photoshop, we recommend a highly attractive alternative. Try any professional online logo maker (e.g., Logaster). The best method is to generate a rough design with a logo maker, then finish it off in Photoshop if you’re not entirely happy with the final result. You may be wondering why you should trust Logaster to create your corporate identity design. How do you know the result will be worth it? Let’s start with the advantage that’s important for many non-tech users. The Logaster website is amazingly easy to navigate and use. See for yourself! Just type your business name, select your industry from the list, and — voila! Choose from multiple logo templates that fit your line of work! Furthermore, with Logaster, you save both money and time. Suppose you’re launching your first business and need an emblem that represents your commercial project in the market. You have several options. If you choose to commission a designer, prepare to spend hours explaining your vision and concept to them. This translates to dozens of emails and calls, as well as possible misunderstandings and even disputes. Plus, you’ll have to wait up to a week before you can look at the first sketches – and then you’ll have to point out mistakes and suggest improvements. Few designers can deliver an emblem with no room for improvement. The same routine is true for image editing software. If you value your time and nerves, we recommend that you turn to an online logo maker at once! Lastly, you don’t need any special skills and talents to generate a corporate image online. Online logo makers are a life boat for those who scared to even open a photo editor like Photoshop. In Logaster, you can adjust your artwork (hues, typography, layout, etc.) as much as you want. Plus, you won’t have to pay for your small-size emblem! How cool is that? We sincerely hope that our video collection brings you closer to your dream emblem! We know how hard it can be to find helpful tutorials that are both informative and easy to imitate. Take your time to watch the guides from the list, collect useful tips from different videos, repeat after the professionals, and experiment with your own concepts. Who knows? You may invent your own way of doing things! If, despite all your efforts, you can’t bring yourself to open Photoshop, don’t let this discourage you. You can always ask an online logo maker for help. Clever AI-based algorithms will do all the hard work for you. Isn’t it amazing to live in the age of technology?